Indonesia’s tropical forests are the third largest in the world, but face numerous threats and their deforestation has contributed significantly to global emissions. Today, Indonesia’s Ministry of Forestry and National Council on Climate Change conducted a Side Event at UNFCCC COP 18 in Qatar National Convention Center, to landmark Indonesia’s 15 years of effort to reduce emissions through deforestation. 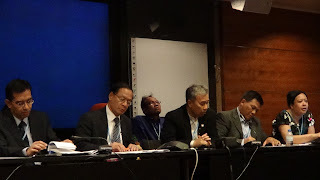 Speaking at the event are Rachmat Witoelar, President's Special Envoy for Climate Change/Executive Chair of National Council on Climate Change; Sánz Sánchez, FAO; Yuyu Rahayu, Ministry of Forestry; Laksmi Banowati, UN-REDD Programme Indonesia and moderated by Yetti Rusli, Ministry of Forestry. Indonesia, as an archipelagic country, is vulnerable to the impacts of climate change and has already experienced a wide range of natural disasters. 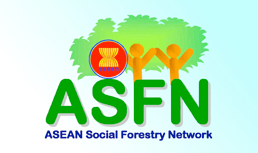 Therefore sustainable forest management is crucial to the national agenda, as part of the national efforts to reduce emissions and tackle climate change. Indonesia’s forest area is 136.2 million hectares, equal to almost 120 times of state of Qatar. These forests have functioned as the lungs of the world, providing oxygen for the globe for many millions of years. Indonesian forests house incredible biodiversity and give direct benefits to people who live in and depend on forests, as well as providing ecosystem services at a local, national and regional level that are crucial for life. They are shelters to 38,000 plant species, 12% of world mammals, 7,3% of world reptiles and 17% of worlds birds with 270 species of amphibians, and 2,827 species of invertebrate. As a developing country, Indonesia is striving for prosperity for its people, cutting forests and selling timber present an opportunity to achieve this. Since its reformation in 1998, Indonesia has been going towards democracy and economic growth. The country has faced economic crises, several natural disasters caused by climate change and domestic problems such as locally elected government officials who preferred deforestation. But now, forest is high in the administrative agenda of President Yudhoyono, to serve the national development that is pro poor, pro jobs, pro environment and pro growth. Indonesia now has changed its pathway to manage its forests in a sustainable way, by supporting economic growth while committed to 26% emissions reduction. Keeping the forest in not only the responsibility of the current government. It also needs worldwide assistance. Taking care of Indonesia’s forest is a support for humanity. Indonesia was significantly involved in laying the ground of REDD + at COP 13 in Bali, specifically the Bali Action Plan article 1 b iii. The process from Bali, to Copenhagen, Cancun and Doha is a preparation for a mechanism to be agreed by all concerned. Indonesia possesses and implements various REDD + agenda in line with national development programs, ranging from reducing deforestation through the eradication of illegal logging and illegal logging trade, conducting mass tree planting (1 billion national trees planting movement), and improving regulation, technology, and capacity management of forests. Indonesia is most advanced in implementing REDD+ mainly through various Demonstration Activities schemes or embedded in economic, environmental and social programs (pro-jobs, pro-poor, pro-growth and pro-environment). Based on Cancun Agreement, to implement REDD+, countries should be preparing establishment of national REDD+ strategy, national forest reference emission level and/or forest reference level, national forest monitoring system and safeguards. “We had been preparing those steps and are ready to implement REDD+ in Indonesia” say Yetti Rusli, Indonesia Ministry of Forestry. Indonesia aims at being one of the lead countries in performing scale up and speed up efforts in climate change mitigation and adaptation. Forests matter for Indonesia. At the Doha Climate Change Conference, Indonesia is fighting for the best outcome of REDD+. “Indonesia sees REDD+ as a golden opportunity to combine forest conservation and economic welfare. To have the cake and eat it too, as REDD+ is an opportunity to add value to forest as it is, and not only as timber, soil or underground minerals” says Rachmat Witoelar, Head of the Indonesian Delegation and Executive Chairman of the National Council on Climate Change. President Yudhoyono has been consistent with his commitments to protect the remaining forests in Indonesia. Last week the Ministry of Forestry granted an area of almost 80 thousand hectares, for Rimba Raya Biodiversity Reserve as a restoration model and a buffer zone for orang utan conservation, adjacent to Tanjung Puting National Park in Central Kalimantan. The project aims for community-based activities, biodiversity protection, reforestation, greenhouse aquaponics and eco-tourism. “REDD + plays an important role in reducing emissions from the forestry sector, but the cost for REDD+ forests and community-based activities is high, so Indonesia urges developed countries to immediately realize the financing for REDD+” says Rachmat Witoelar. “I am proud that Central Kalimantan is able to deliver the world’s flagship REDD+ project. We look forward to working with the project developers in a cooperative “learning by doing” environment,” says Teras Narang, Governor of Central Kalimantan Province, Indonesia. Central Kalimantan is home to the orangutans, and the national REDD+ pilot province under REDD+ partnership with Norway. As the Doha talks continue, Indonesia reminds the world that global solutions need action. Developed and developing countries can be part of the solutions by making and acting upon their commitments. Words without actions are meaningless.